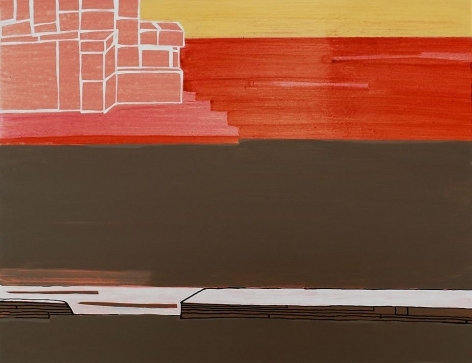 New York-based artist Frances Barth lures viewers into imaginary landscapes of shifting scale and multiple viewpoints in her first solo exhibition at Sundaram Tagore Gallery New York. 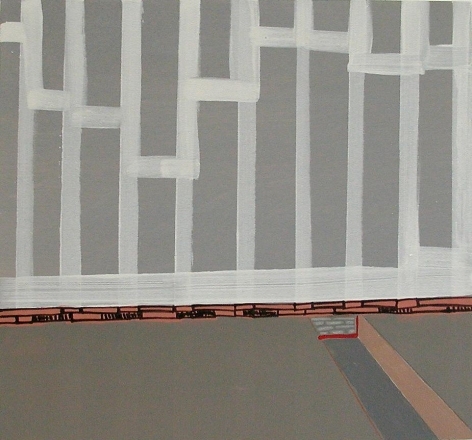 Her abstract paintings are at once flat surfaces and immense panoramas. 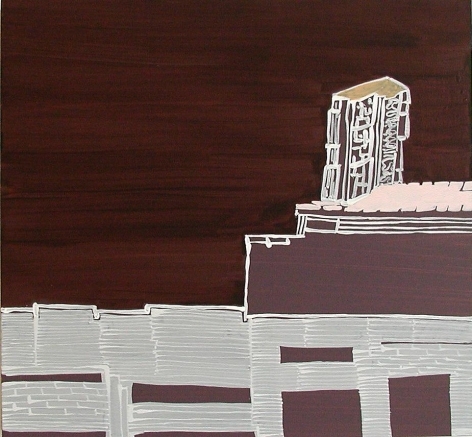 Reinventing the picture plane, Barth uses expanses of color and sparsely drawn lines to imply both space and time. 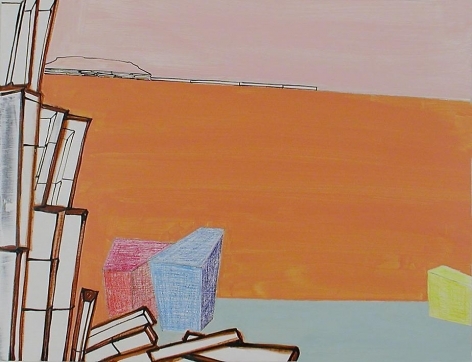 This vibrant new body of work investigates the history of painting and challenges perceptions of space. Barth studied painting at Hunter College, New York, and first came to prominence in the 1970s. In tandem with abstract artists of her generation, she turned away from a purely illusionistic rendering of space. Her early works were horizontal paintings of thinly applied fields of color. 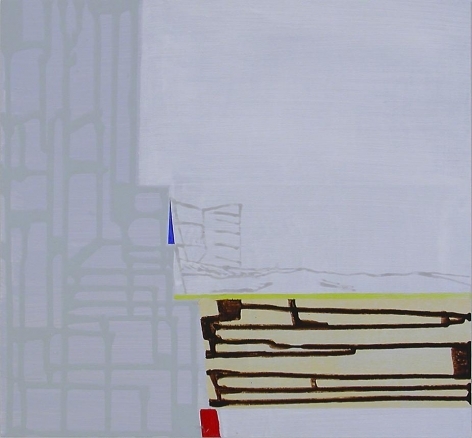 Exploring the possibilities of painterly space, she created radically abstract geometric compositions. Barth sought to lengthen the time viewers spent reading her works. This gave rise to perplexing environments with narrative qualities. The artist's recent paintings draw inspiration from geological landscapes, the passage of time, and the behavior of light. The works are akin to the floating worlds of Ukiyo-e woodblock prints from Japan. 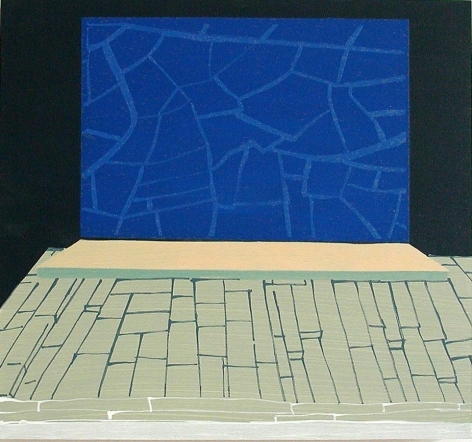 Dislocating viewers, Barth creates landscapes that are miniature and monumental within a single terrain. She is acutely aware of viewers' perceptions of space. In an instant, she brings us to soaring heights offering an aerial perspective then suddenly plummets below ground. 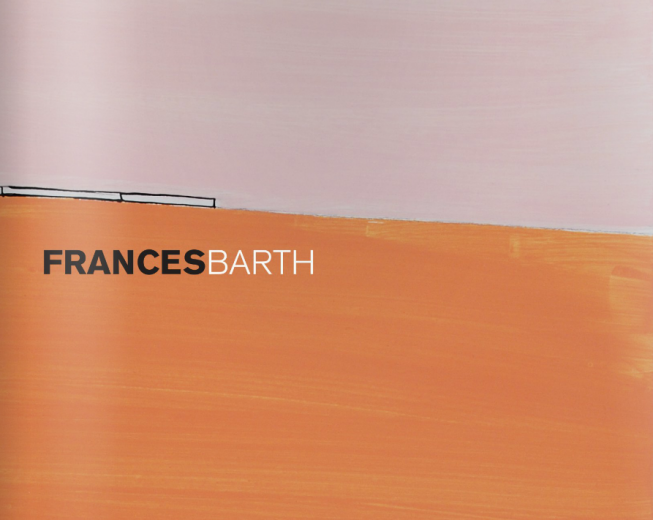 Barth's luminous paintings guide viewers through spaces that not only shift, slide, and surprise, but also manage to tell a story. Barth layers painted colors and maps lines using hand-made stencils and engineering drafting pens, which she inherited from her grandfather, who was born in the nineteenth century. She scumbles and glazes colors to create surprising new hues. The expanses of color create an atmosphere and concurrently offer the illusion of objects in space. To further such effects she makes a range of marks— from structured lines produced by stencils to spontaneous hand-drawn lines. 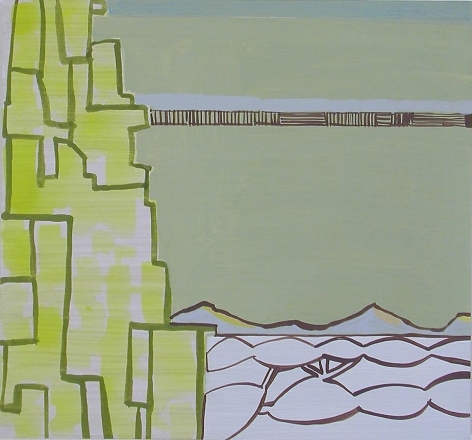 Often, her works evoke the strata of the earth as they appear in geological diagrams. A passage of time is implicit. As Barth explains, "I like to make things appear to exist in different times. There's no one version of reality." Frances Barth is the Director of the Mt. Royal School of Art, Maryland Institute. She has exhibited extensively across the United States. Her paintings are in the collections of the Metropolitan Museum of Art, New York; The Museum of Modern Art, New York; the Whitney Museum of American Art, New York; and the Dallas Museum of Art, Texas. Private collectors include Chase Manhattan Bank, New York, and IBM Corporation, New York.